The pair that opened Tenue de Nîmes, arguably one of Europe’s best denim stores, in Amsterdam in late 2008 is no more–at least not business-wise. Co-founder and -owner Menno Van Meurs bought out his companion Rene Strolenberg’s share in the business at the end of February. “I decided in October last year that I wanted to continue the journey by myself,” says Van Meurs. After the buyout, Strolenberg is currently doing consultancy work for different international brands and stores, advising them in terms of image, collection strategy and production and therefore traveling to different manufacturing sites from London to Italy, Morocco o Colombia. He is also working on new project called Blue Eyes Mine. 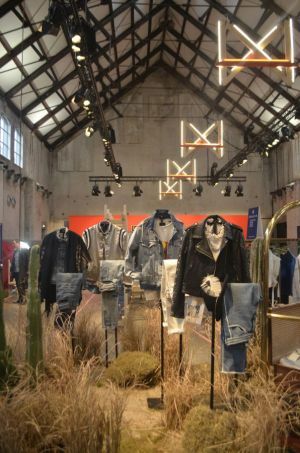 Meanwhile, Van Meurs continues to run the Tenue de Nîmes business with its two denim stores (and one Red Wing store) in Amsterdam. Doing so, he wants to especially expand on Tenue de Nîmes’ own brand, which released its first pair of made-in-Italy jeans in the summer of 2015 and has grown into a full range of Japanese and Italian denims and basic shirts and tees (it currently encompasses 60 SKUs including three denim fits for women and three for men). “I always said that I wanted to transform from retail to brand. We are living in such pressure in retail right now and I find that really interesting. In their criticism, people always focus on the cheap players, but it’s these brands which are actually the most honest! Here, what you see is what you get whilst it’s the high-priced brands which are not living up to their quality promise,” Van Meurs points out. In their criticism, people always focus on the cheap players, but it’s these brands which are actually the most honest! Van Meurs also highlights the durability and therefore sustainability of the Tenue de Nîmes collection and explains that he is currently working on a new online platform to be more efficient in selling it to the rest of the world. I’m not a fan of mono-brand stores because I simply think they are boring! I sell the other brands in my shop because I am a big fan of them. Let’s just hope they don’t miss the second chef’s spices too much.